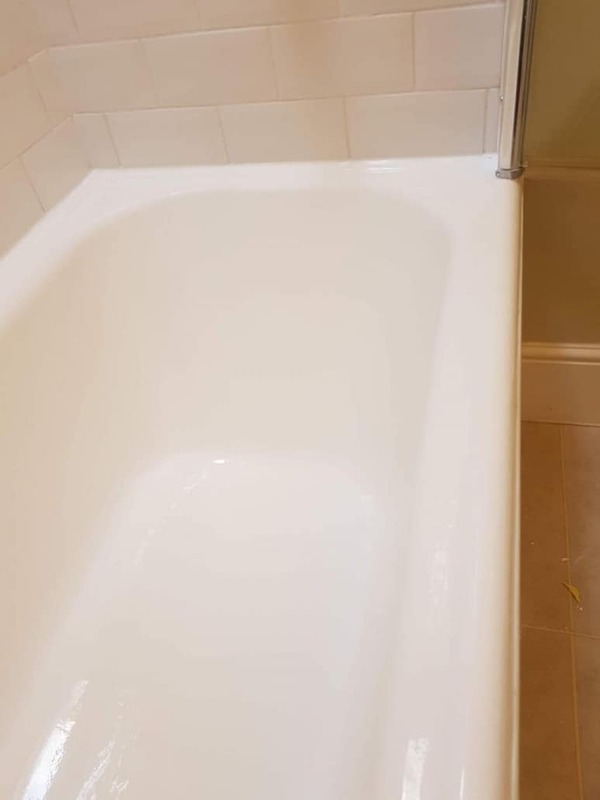 After DIY, bath stripping and resurfacing to white. 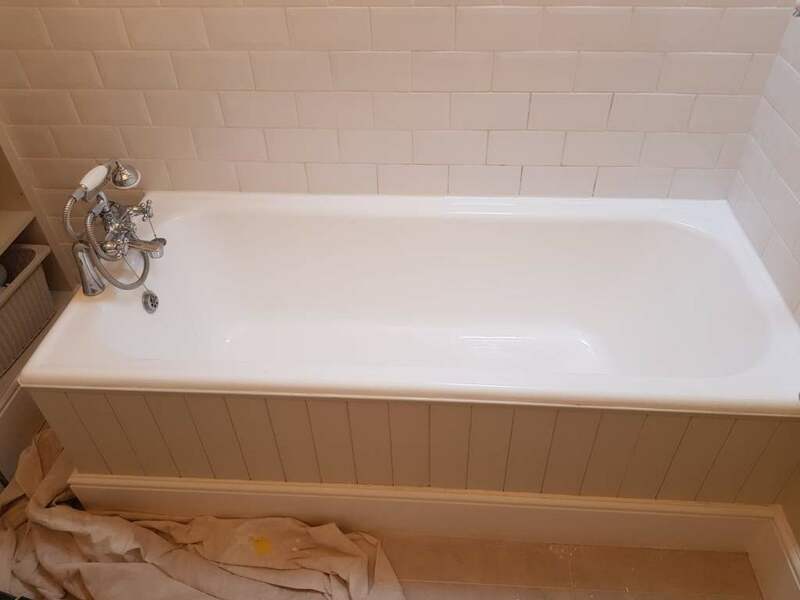 Somewhere in Devon, there is a creature that is abusing bathtubs with brush and roller. 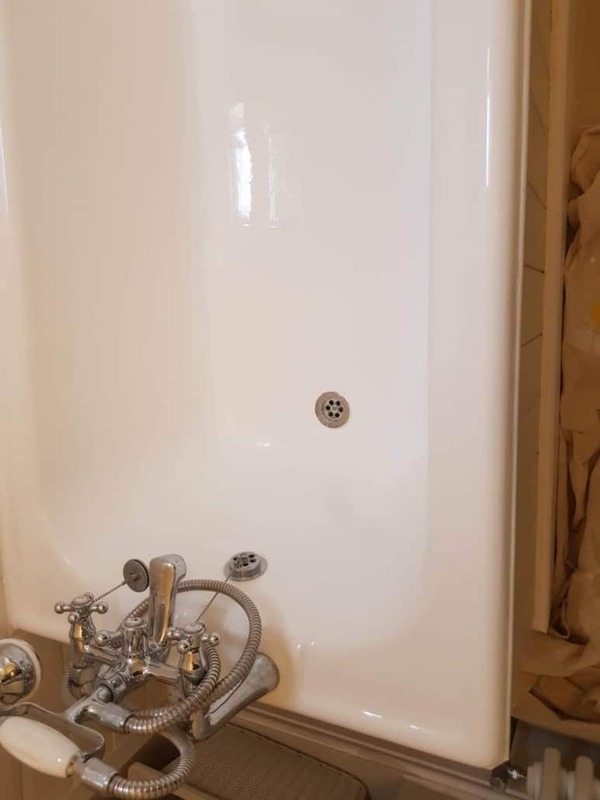 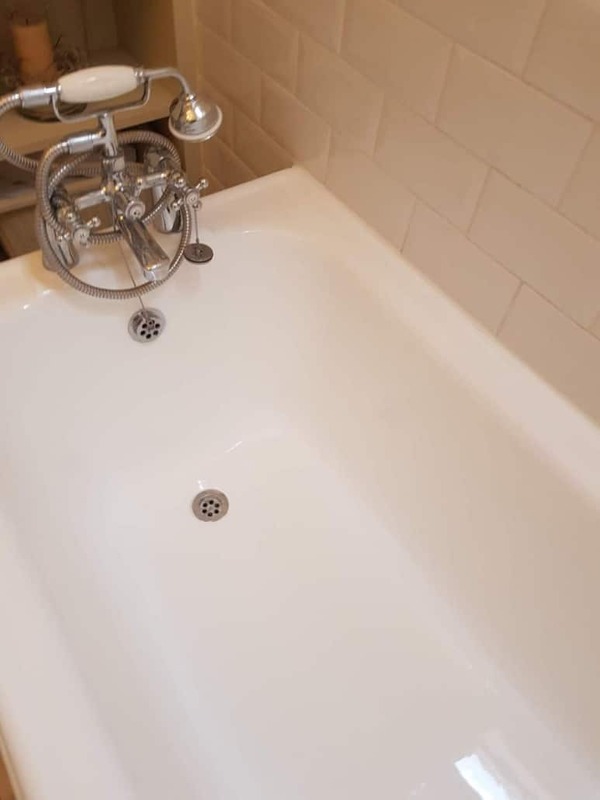 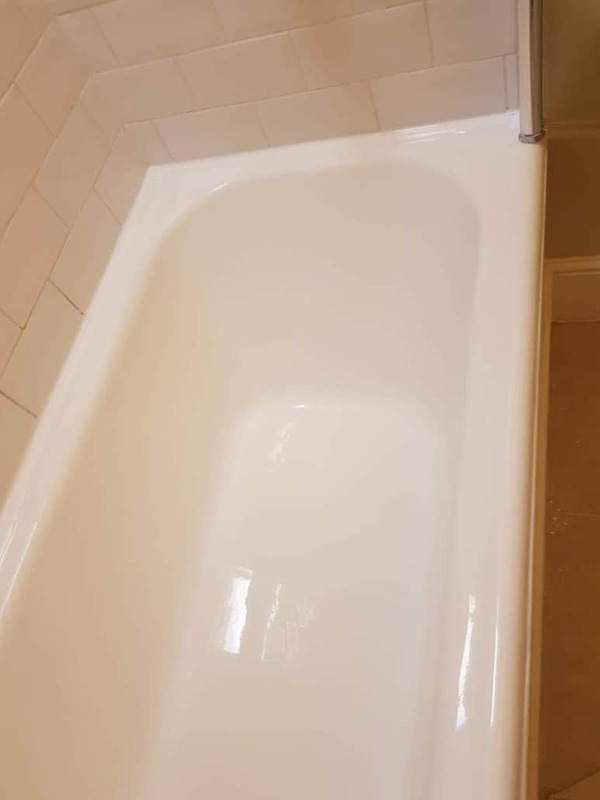 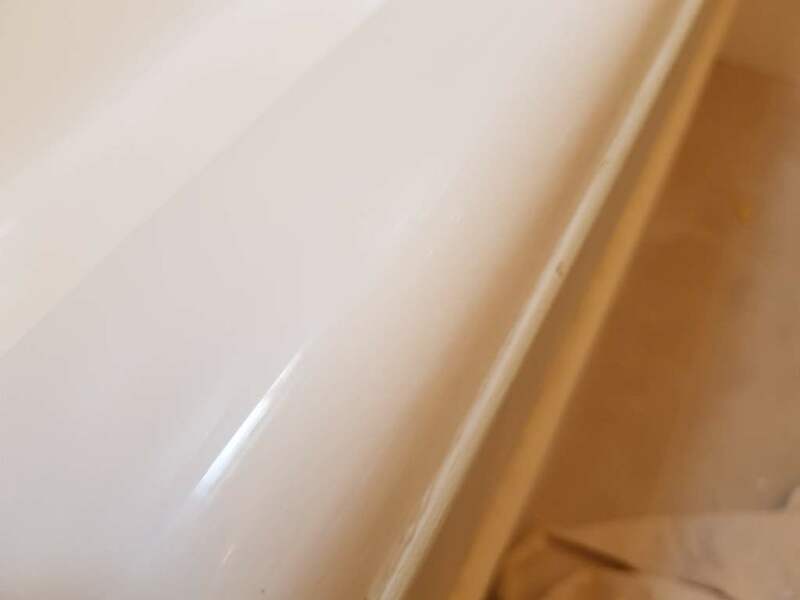 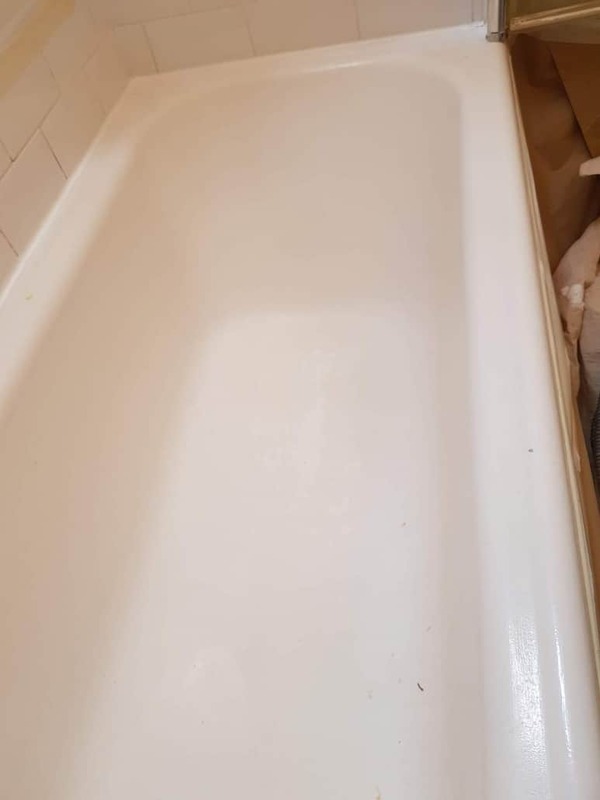 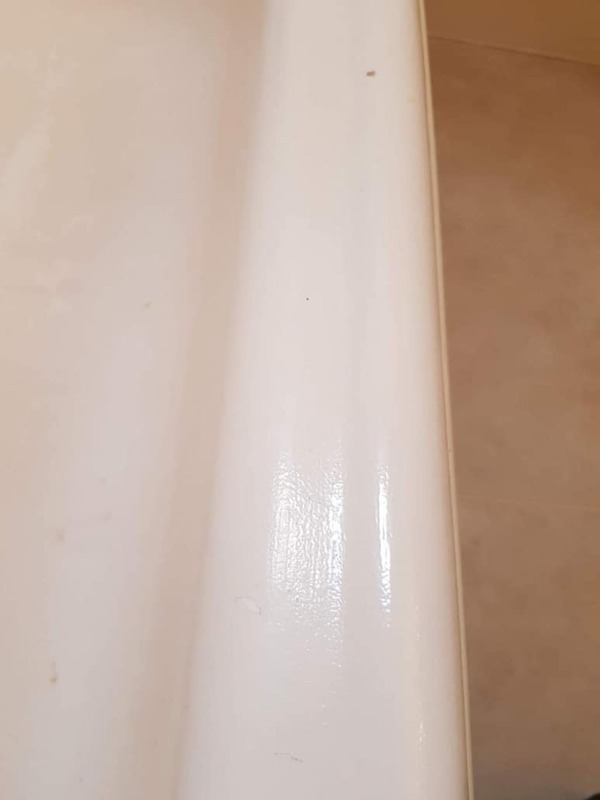 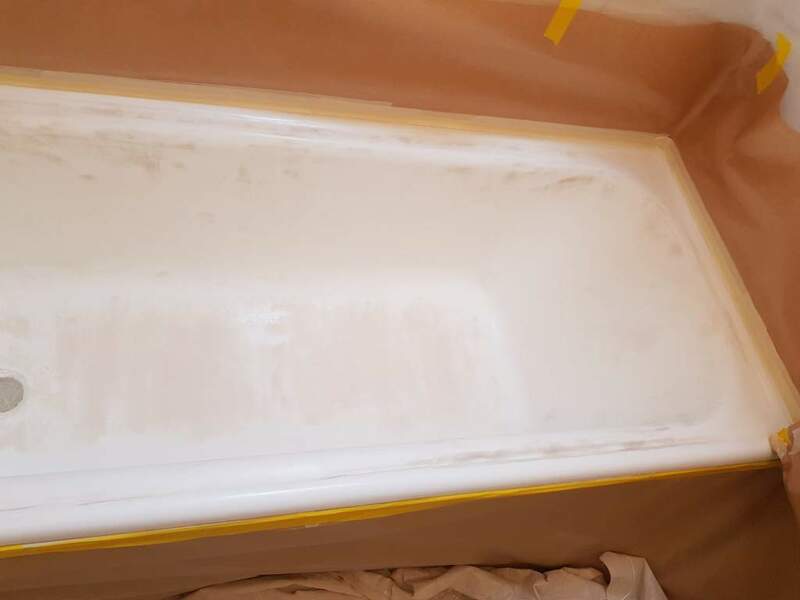 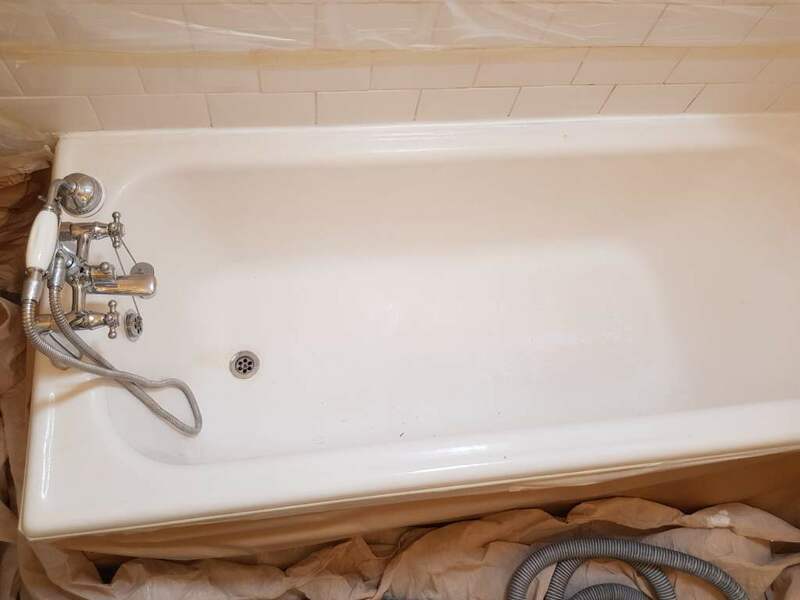 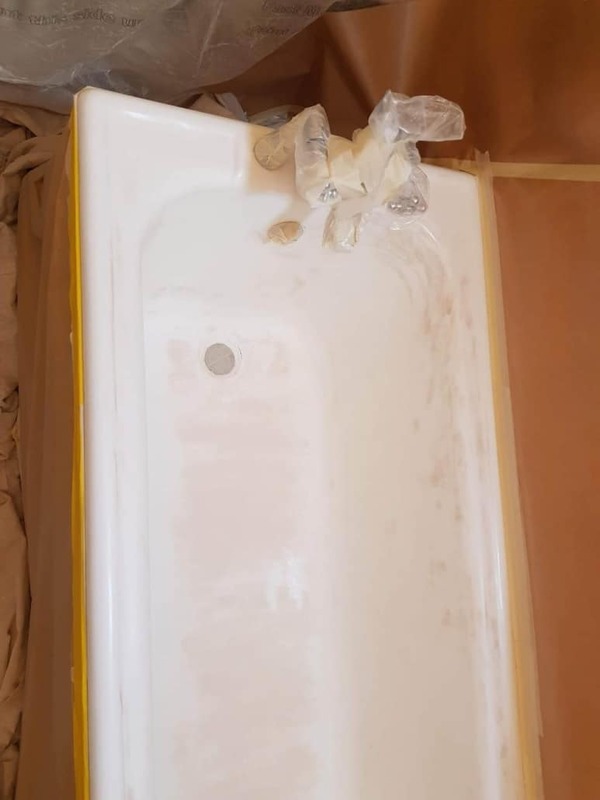 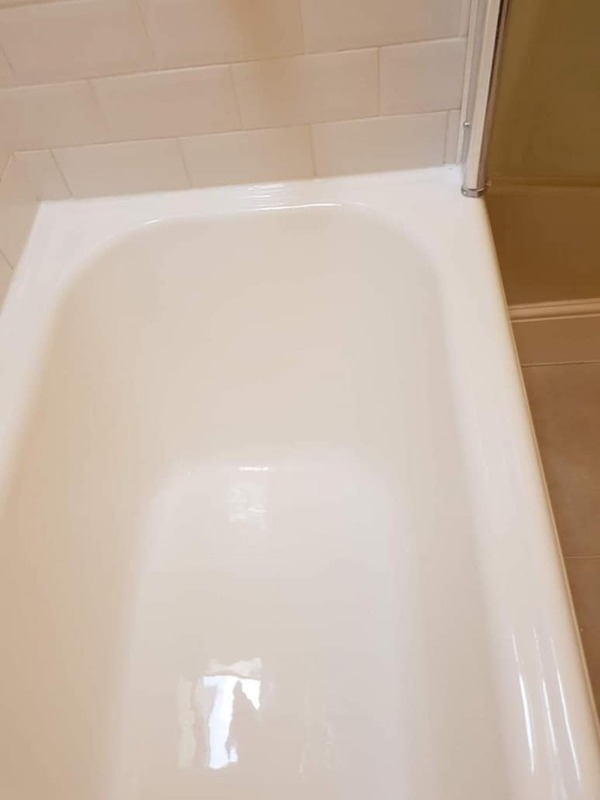 I rescued this poor bath, stripping the yellow epoxy paint and repaired the imperfections, prior new application. 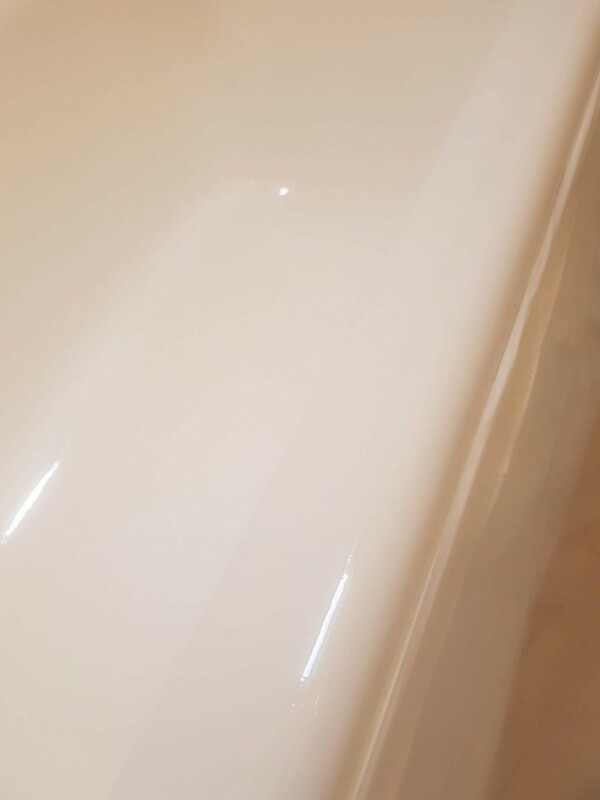 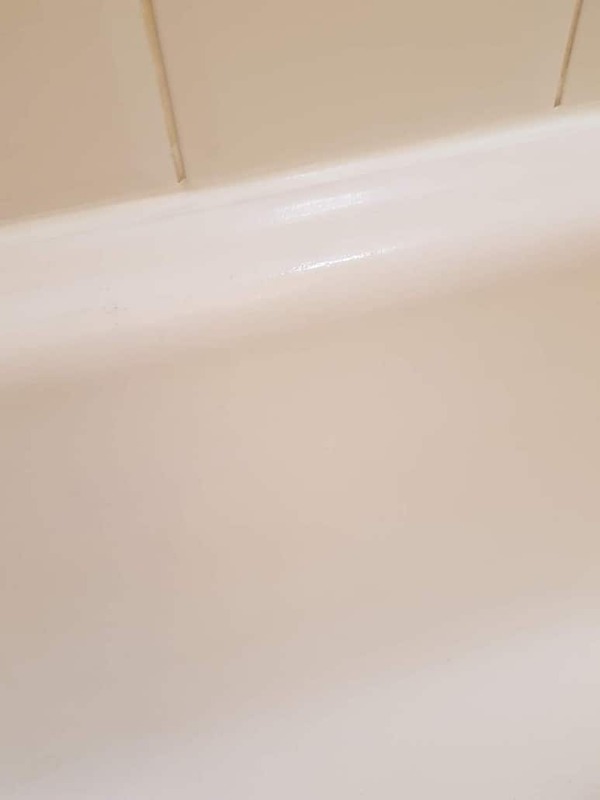 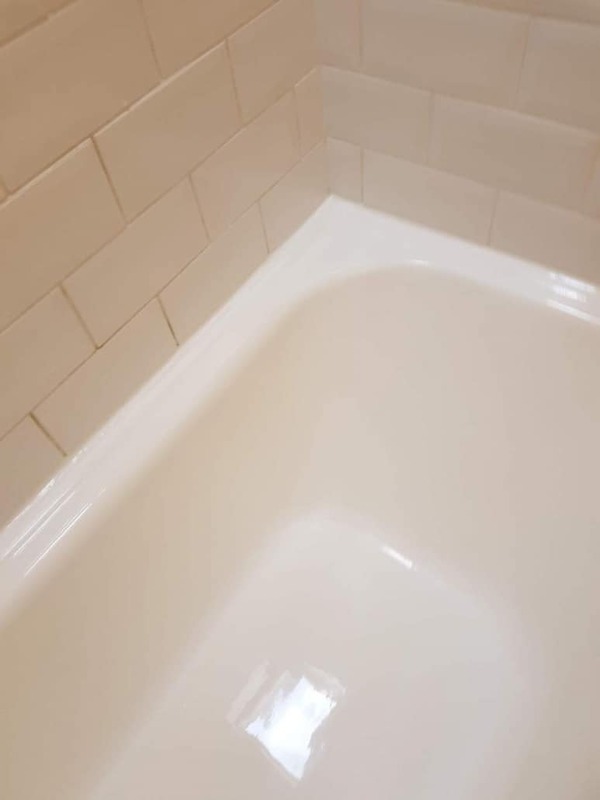 Sometimes, it’s hard to reverse the results of poor quality DIY jobs, but that turned out to be a fantastic bath again!